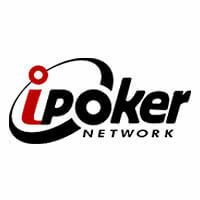 For those of you that haven’t been following the news, iPoker2 will be launching on September 1st 2012. The network split will be happening in a week, but nobody knows what poker skins will make it on the top tier yet. The new iPoker Network will feature two player pools, with the top tier skins having access to both pools and the bottom tier only having access to one player pool. The majority of the network landscape will remain unchanged except for the micro – low limit cash games. 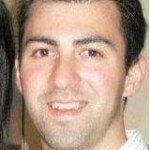 Roei Gavish works as the Head of Poker at Playtech and he stated that the only cash games affected will be up to $2/$4 stakes. There will also be some S&G’s affected by the new iPoker / iPoker2 segregation, but that’s it. All of the medium – high limit cash game tables will be open to players on any iPoker skins still. MTT’s will be open to players on both of the player pools as well, so nobody will miss out on the guaranteed tourneys or anything else. The main reason for the split of the network is so that the bigger skins that generate the most active/new players earn more revenues. In order for the iPoker skin to receive access to the top tier they need to have an active player base of 6000 plus they also need to send a minimum of 850 new depositing players each month to the network. These numbers will only be achievable by a few of the iPoker skins. It’s expected Titan Poker, William Hill, Bet365 and Paddy Power will make up the top tier initially. Several poker skins on the iPoker Network have been busy this week. Celeb Poker sent out an email that stated the players on the network will be merged over to the Titan Poker skin on August 27th roughly, which is right before the network split. This will boost Titan Poker numbers and they’ll be trying to become the flagship poker skin on iPoker2. In not so shocking news, Dracula Poker (a small skin on the network) closed down and migrated accounts to Titan Poker. The poker skin was owned by the same company as Titan, so the move makes sense. There is no point in Titan operating individual skins on the network anymore, so they’ve been consolidating their skins and building up the Titan Poker player base. Is Everest Poker Moving to the iPoker Network? No official news has been announced by Everest Poker yet, but it looks like the independent poker room will be joining the new iPoker Network. It’s unclear whether or not Everest is eligible to operate on the top tier, but I’m sure they must be if they plan on moving to the network. Traffic has been declining at Everest Poker and joining a network will definitely help the action.